After an afternoon in the shop, tools are tuned, sharpened, and oiled - ready to get the season going after a long and snowy winter! Contact me to talk spring clean-ups, garden maintenance and plans for the 2017 growing year. Evergreen-infused honeys are bright, surprising and uplifiting for both the palate and spirit, and great medicine to boot! 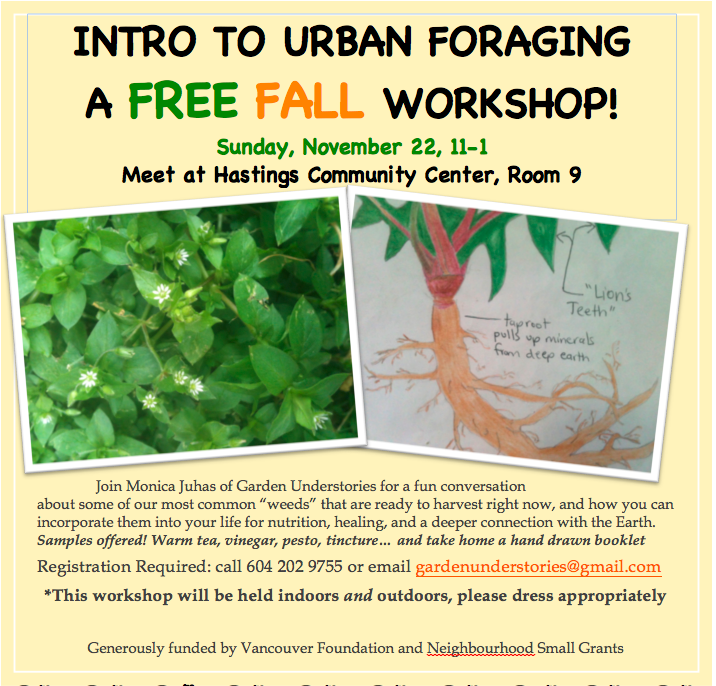 This workshop will begin with a plant walk in a Nelson forest where we meet our local conifers. 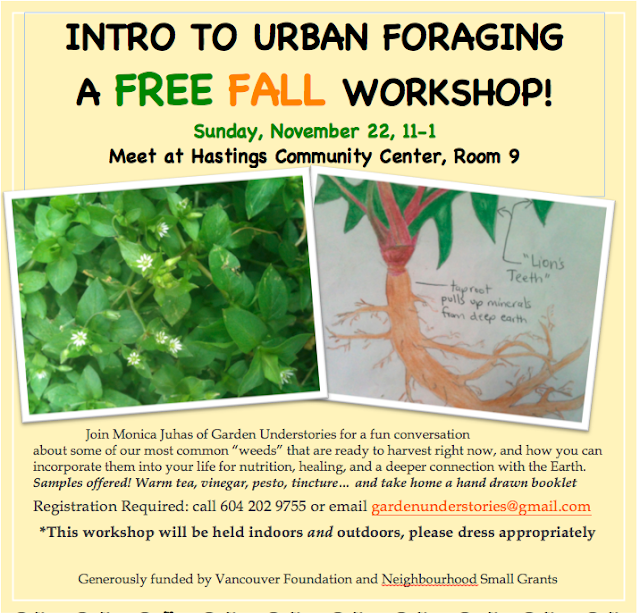 We will learn to identify the different trees, as well as indulge in their raw scents, tastes and textures. 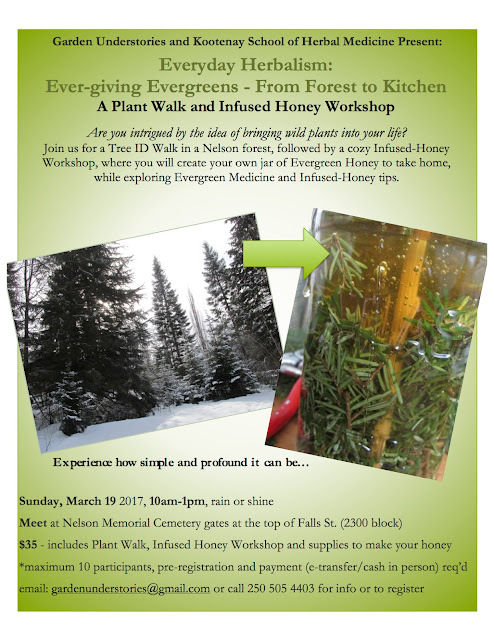 Everyone will harvest a branch or two of their choosing and we will then gather indoors where I will guide you in creating your evergreen-infused honey, and we will cover tips for infusing,decanting and enjoying, as well as Evergreen Medicine. Honey-making supplies are included and tea will be be served.